If “My Generation” was the anthem of a new kind of revolution, empowering to its endlessly catchy and upbeat core, then the band behind it was the harbinger of a new era. In a time when the icons of popular music stood in rigid formation, awkward and slack-jawed as they stiffly crooned into microphones, The Who rode in like a much needed breath of sweaty, weed-scented air. They were, and still are, the intensely and refreshingly defiant new faces that changed the course of pop culture on a global scale. 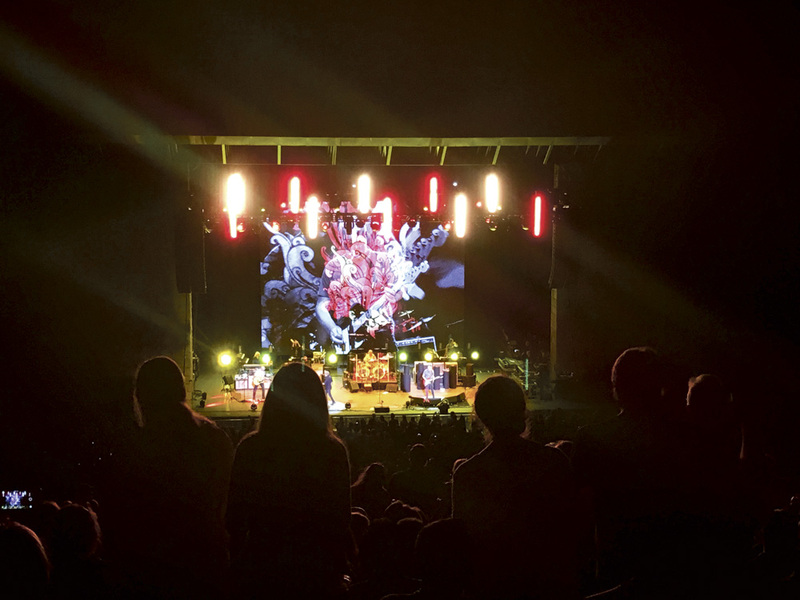 After 50 years, to a sold out show of over 4,000, the Who performed one of their final goodbyes on Thursday night at the Santa Barbara Bowl, one of the last stops on the North American leg of their “The Who Hits 50!” tour. In the last several decades, the Who has lost two of their four original band members — drummer Keith Moon and bassist John Entwistle — but their sound and talent is still as solid as ever. So indeed is their sense of humor, as lead guitarist and songwriter Pete Townshend began the night with a story of one of the first times he visited Santa Barbara that involved rock icon Joe Walsh, an enthusiastic groupie, and one big line of cocaine. The band kicked off the night with “I Can’t Explain,” sung by original lead singer Roger Daltrey, its forceful, punchy opening notes rising in sync with the night’s first smoke plumes from the crowd. Sampling over 20 songs from their 11 album long career, it was a triumphant start for many audience members reliving their glory days. In no particular order, the band played the greats and the underrated — performing the lyrically psychedelic “I Can See for Miles” with its echo-y chorus, and “Join Together,” the quintessential stadium anthem whose lyrics are known by fans and novices alike. Arguably one of the best songs of the night was the often overlooked “Bargain,” an aggressive, head-slamming tune that emerged as Townshend’s favorite from the “Who’s Next” album. Bandmates no doubt toned down what was once an unparalleled stage presence — it was Pete Townshend who was the first ever to smash a guitar on stage for dramatic effect. Late drummer Keith Moon, who died of a drug overdose at age 32, was known for filling his drum set with pyrotechnics and nearly wiping out the entire band, an event which on one occasion ruined Townshend’s hearing permanently in one ear. These accidents became ritual, and in doing so prevented the band from making any profits from their first several years of touring. On Thursday night, Townshend and Daltrey, at 71 and 72 respectively, kept it subtle but still played with their trademark moves; Daltrey swinging his microphone (albeit a little more like a ribbon dancer than a founder of punk rock) and Townshend strumming his guitar with his iconic windmill move. As a testament to their historical transcendence, Townshend’s emotional instrumental piece, “The Rock,” played with footage flashing in the background of the Vietnam War, Iraq and everything in between; the emblem of a band who witnessed and shaped half a century of history. The band’s final show is set for Apr. 17 of next year in Birmingham, England.